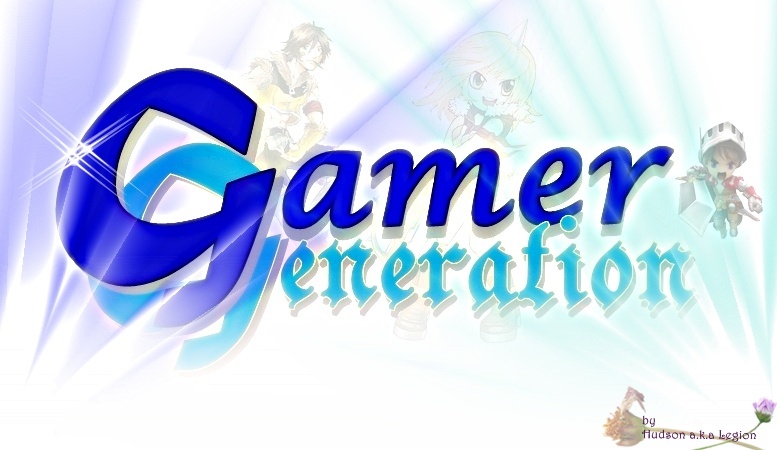 All the news and important announcements from Gamer Generation goes here. Talk about anything at all at here beside those that have categories for it. New to the community? Introduce yourself to the rest of the forum or leave your goodbyes. Ask your own questions or answer other people's here. Post ideas, suggestions, complaints, feedback, etc. about the site and forums here and the staff will take a look at them. New to forum? Learn how to use forum here too. Talk about anything related to entertainments here. Post here about your favourite games, or request help beating that last boss! Discuss the art of film and television here. Talk about anything related to comics or animation in this forum, both "Western" and Japanese. Discuss anything from the broad world of music. Post here to talk about your favorite software. Discuss physical recreation, sports, and probably poker in this forum. Mini games that are played within forum available here. A comic that revolves around G.G. staffs' daily life. Have a piece of writing you wish to share? Whether it be poetry, prose or drama, we'd love to read it! Share your art with others. Post Drawings, paintings, pixel art, photography, etc.. entice our eyes and discuss these graphical works with the rest of the community. Discuss all forms of creating music, and any music projects created by the community! Discuss all forms of creation not categories above, and anything that is created by the community! Have a site you'd like us to see? Share it here! Need to hire people to help with your project? Try here!